The trade that blew up the internet last night between the Cleveland Cavaliers and the Boston Celtics is likely the biggest trade in any sport in recent memory. It’s not often teams swap superstars in a manner like this. So while Kyrie got what he wished for, his whining screwed over some other people. First, let’s take a look at the final deal. The Boston Celtics: Easy choice here. They gave up a lot, but they got a lot. They were going to have to pay big money to Isiah when his contract ran out, and in all reality, he is not worth it. As an undersized point guard that can only score, he was a liability on defense. His elite scoring is replaced by Kyrie, so no problems there. Swapping Isaiah for Irving is already a bonus. Losing Crowder hurts, but they drafted a potential superstar talent in Jayson Tatum and now he will get the chance to be plugged into the starting lineup immediately. It is important not to forget their offseason addition of Gordon Hayward, who is going to be the X-factor of the Eastern Conference. They are officially the contenders everybody has made them out to be. Big win for them. 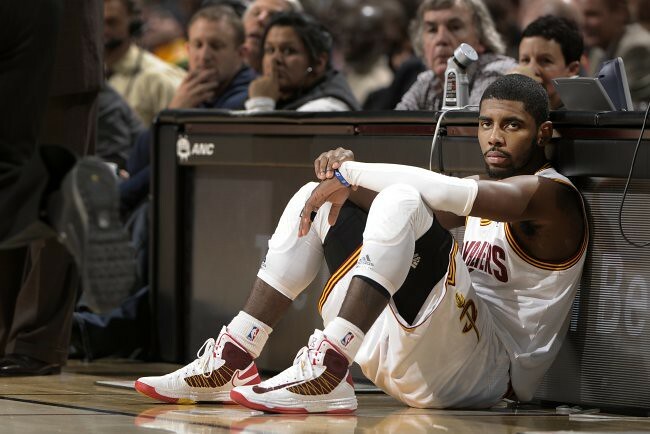 Kyrie Irving: Well, the waaa-mbulance finally came for poor Kyrie. Getting to play with the best player of your generation and an annual finals appearance was definitely too much to handle, so we understand Baby Kyrie. Regardless, he got what he wanted and he is getting put on, likely, the better Eastern Conference team now. He can be the star in Boston, only problem is he is going to have to beat LeBron to get back to the Finals. Good luck with that. LeBron James: For his final year in Cleveland, LeBron will have a larger supporting cast on offense. Adding Crowder into the offense will take some of the pressure off of Kevin Love’s on-and-off shooting, and maybe even let him work more in the post where they sometimes struggle, considering Tristan Thompson really only knows how to get rebounds. Watching the Cavs try to outshoot the Warriors was bad basketball, because they simply could not keep up. Adding another big forward who can shoot should give LeBron more room to drive (as if he needed it) and more consistent options on the floor, ideally in the mid-range game if Love works on that. For losing his right hand man, LeBron can still fight for a title this year. Plus, having to play with a whiny Kyrie would have definitely caused plenty of locker room problems. Now, he can focus on his legacy. I predict a BIG year for Mr. LeBron James. NBA Fans: While the NBA is still very top-heavy, at least there are no longer just two teams who can compete for a title. There’s at least 4-5. Fun! Isaiah Thomas: Isiah seemed like somebody who poured his heart and soul out for Boston. I mean, he played a playoff game hours after his sister tragically died and dominated. He did that because he’s a competitor. And then that same offseason that same team who you left everything on the floor for turns around and trades you? It has to sting a little. Also, his “Superstardom” status will likely decline thanks to pairing with LeBron. He will become a glorified spot-up shooter during his time in Cleveland. I do not see this as a permanent landing spot for Isaiah Thomas. Cleveland Cavaliers: Some people have them as winners, but hear me out. It’s almost like the Cavs and LeBron looked at each other, the Cavs with a tear rolling down their cheek, and they both said “One last time…for old time’s sake” because they both know it is Win-Now mode, and then it’s party over. With Isaiah Thomas becoming a UFA in 2018, the high-class benefits of this deal will not last forever. So while they have a chance to be winners this year, they will likely not maintain the high status of championship caliber team for much longer. The first round pick, Zizic, and Crowder (signed through 2020) are them building for the future, preparing for the Post-LeBron Era, which is smart. It could turn out well. Hopefully this time around it does not go as as horribly as the last time LeBron left. I just put them in the loser category more because of the situation as a whole. Sure, a bright future is possible, but they got dicked by Kyrie, and are soon to be an ex-girlfriend of LeBron James. 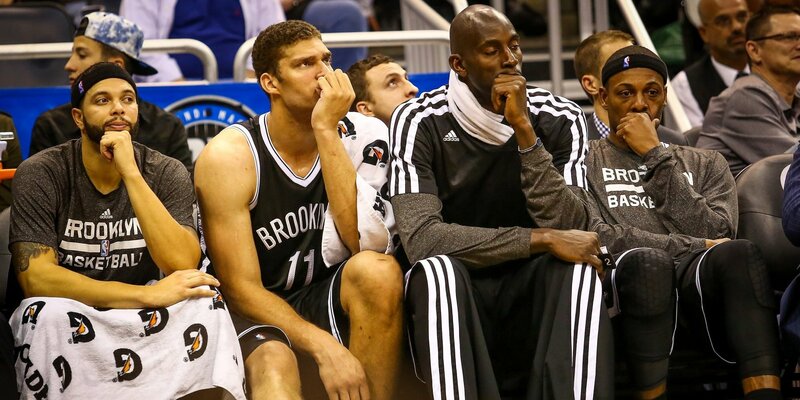 Brooklyn Nets: Their picks get thrown around more than Charlie Whitehurst in free agency. Poor guys, the horrific trade for Pierce, Garnett, and Terry just keeps making their Eastern Conference opponents better off. Sad! ESPN: Now that this whole Kyrie-LeBron saga is over, ESPN will have one less thing to talk about. That means more national anthem protest coverage and even more Mayweather-McGregor discussions. Greeeeeeaaaaat.